This story was updated May 22. WASHINGTON — The UN certified Iridium Communications to provide Global Maritime Distress Safety System (GMDSS) services, ending Inmarsat’s monopoly on the internationally required service for ships, Iridium said May 21. The certification, granted by the UN’s International Maritime Organization, marks the culmination of a five-year effort that occasionally turned nasty between fleet operators Iridium and Inmarsat. Iridium began pursuing the certification in 2013, at the time expecting completion in two years. Rupert Pearce, CEO of London-based Inmarsat, lambasted the effort in 2014, claiming Iridium-supported GMDSS services would put lives at risk. Backed by the United Kingdom, Inmarsat sought that year to upend McLean, Virginia-based Iridium’s application, which was backed by the United States. Iridium has since largely replaced its first-generation constellation, with all 66 operational Iridium Next satellites expected to be in service by year’s end. In a May 21 statement, Iridium hailed the International Maritime Organization’s decision, saying the newly granted certification “ends a decades-long satellite industry monopoly” by Inmarsat. 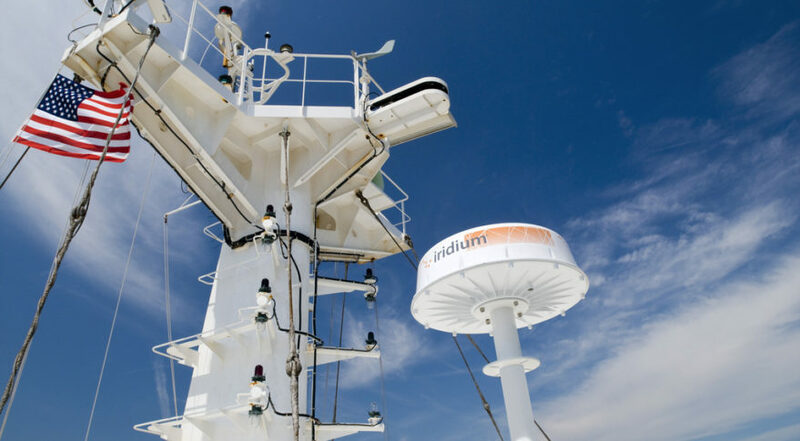 “This is a historic moment for the maritime industry and an honor for Iridium to be the second ever recognized provider for GMDSS services,” Bryan Hartin, Iridium’s executive vice president, said in a statement. Inmarsat announced May 22 that it received certification for its new Fleet Safety service, which provides the mandatory maritime safety service and broadband data services through a single Inmarsat-provided terminal. “Fleet Safety is the most significant advance in maritime safety services since the introduction of GMDSS in 1999 and restates our commitment to maintaining and improving safety services for the maritime industry,” Inmarsat Martime President Ronald Spithout said in a statement. Iridium and Inmarsat could soon be joined by the Beidou Navigation Satellite System’s Chinese operator, which is seeking GMDSS certification from the International Maritime Organization. Natasha Brown, a spokeswoman for the International Maritime Organization, said via email May 22 that the Beidou application was being considered by the Maritime Safety Committee during a 10-day meeting in London that ends May 25. Brown said there has been “no objection in principle to the application” but did not say when a decision would be reached. GMDSS provides emergency communications at sea, relaying messages even if crew are unable to call for help. The International Convention of the Safety of Life at Sea treaty requires ships of 300 gross tonnage or more have GMDSS equipment onboard for international trips. Inmarsat had been the sole provider of GMDSS equipment since 1999. GMDSS does not generate service revenue for Inmarsat but does drive equipment sales. Iridium’s certification by the International Maritime Organization gives the mobile satellites services company an opportunity to market GMDSS compliant hardware and services. “While this development is not expected to be a major driver of revenue by itself, the recognition should allow Iridium to compete more fully within the maritime space, and importantly against Inmarsat for a slice of the roughly $600 [million] maritime broadband business,” Raymond James analyst Ric Prentiss wrote in a May 22 research note. Iridium said it expects to begin GMDSS service in 2020. The International Mobile Satellite Organization will monitor Iridium’s GMDSS implementation, Iridium said. A public service agreement between Iridium and organization will likely mark the start of service, Iridium said.